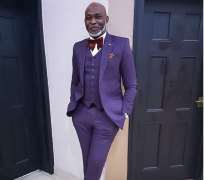 Veteran actor, Richard Mofe-Damijo, popularly known as RMD is not only good at acting but also at give food for thought for all to benefit from. The actor recently came forth in his usual captivating way of dressing, to give food for thought to all, appreciating all those who go out of their way to help others without expecting a reward. He went on and on to advice that no matter how much you try to care for others, always remember to care for yourself because you are number one. He said if number one should die, life would continue and so anyone who everyone depends on for counsel, direction, money, prayer and so on, should always think of himself/herself and make sure not to put away activities that could help his/her growth in all ramifications. According to him, “I love people who love people. The kind, generous, nurturing type who go out of their way to do for others without complaining or expecting a reward but the problem with people like this is the fact that they forget to take care of NUMBER 1. You may be the one in your family that everyone kind of depends on for direction, money, prayers, counsel, etc. Or you’re Admin for various WhatsApp groups trying to keep people together and in touch, or you’re the one constantly on the road attending ceremonies and events just to support others. You are a hero and I love you but the question is, when last did you stop to breathe and take care of yourself?